Enrolling Chromebooks can take some time, but if you plan ahead then the process can happen much quicker. Here are some tips that I have done to help the process along. Tip 1: Use a usb-to-nic adapter. 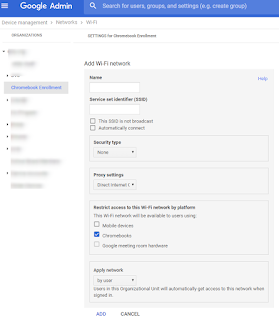 Connecting to wifi during the enrollment will slow down the process considerbly. 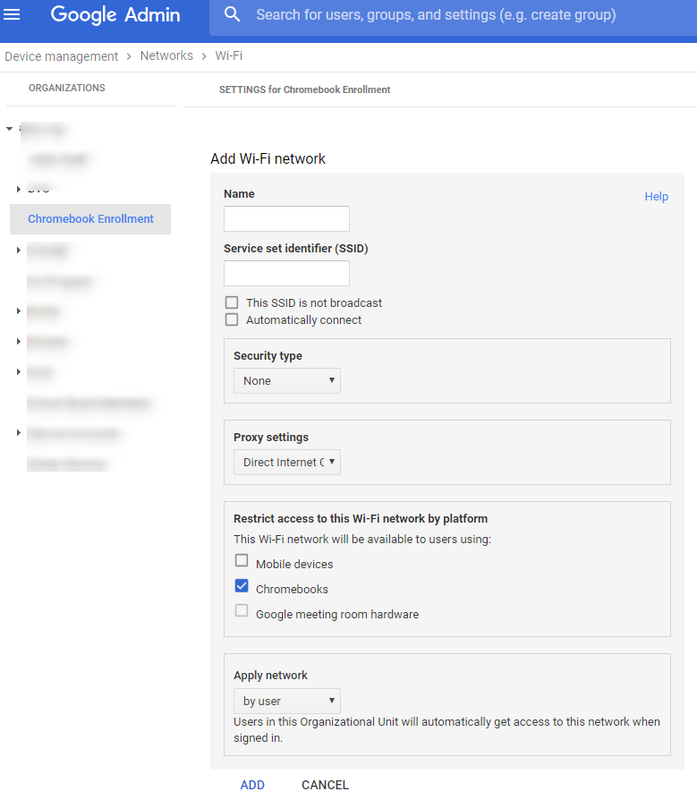 Tip 2: In the Admin Dashboard set up a network policy so that Chromebooks in your desired Org get a device-based SSID. Tip 3: Set up an easy to type username / password. You can disable the user (or make a more complex password) after the bulk of the enrollment process is done. 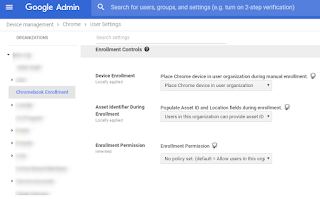 Tip 4: Have the devices automatically go into a specific Org when enrolled. 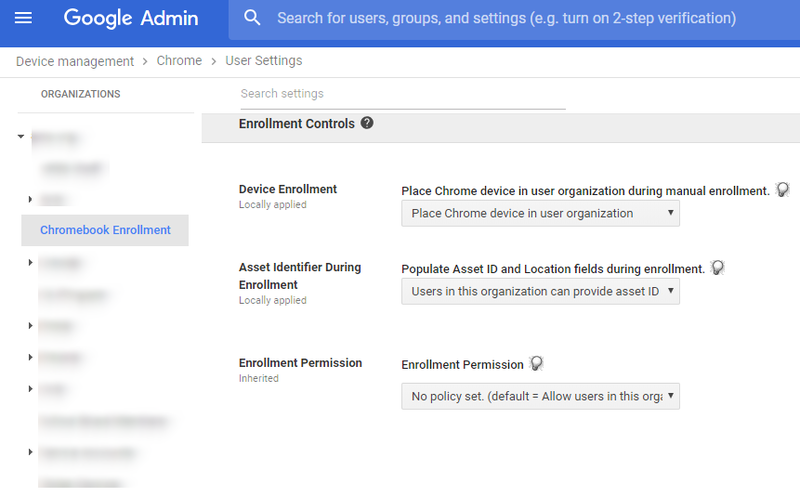 In device Enrollment select "Place chrome device in user organization"
If you do any asset tagging, or location tagging, I also suggest enabling the "Asset Identifier During Enrollment"
Are keystroke automation tools worth it? Ones I have used: I have played with the USB Rubber Ducky, and heard of Centipede. What they do: They basically mimic keystrokes, as soon as you put the usb key into a computer, allowing you to skip the repetitive keying in. Are they worth it? For our network they were not worth it; mostly because we enter the asset tag and location during enrollment. We also found that between the Nic-to-USB and the easy to type enrollment user, the process went so quick that the above were not worth it for us.